Emanuel is using Smore newsletters to spread the word online. We need to strengthen existing laws to give law enforcement the tools they need to keep guns out of the wrong hands, and to ensure that fire arms do not endanger public safety. 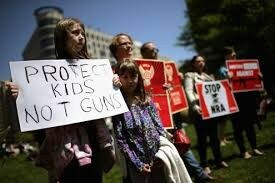 Conversely, the study found that states with strong gun laws and low rates of gun ownership had significantly lower rates of firearm-related death. 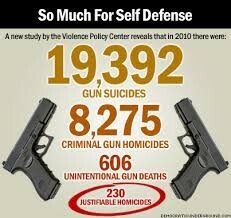 A way to prevent deaths by guns is by taking precautions like doing background checks on people before selling guns. 92% of respondents including 91% of gun owners, favor mandatory criminal background checks for all gun purchases. 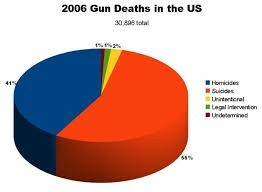 Why should we control guns? Because anyone can argue that it was self defense and get away with charges. “Stronger Gun Control Laws Will Save Lives.” Guns and Crime. Ed. Christine Watkins. Detroit: Greenhaven Press, 2012. At Issue. Rpt. From “Ten Myths About Gun Violence in America.” LCAV.org. 2009. Opposing Viewpoints in Context. Web. 29 Jan. 2015. 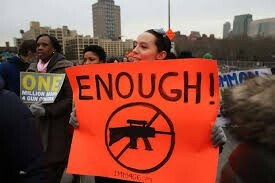 “Survey: Law enforcement professionals say gun restrictions are ineffective.” Washington Times [Washington, DC] 10 Apr. 2013: A10. Opposing Viewpoints in Context. Web. 29 Jan. 2015. Willis, Tiffany. 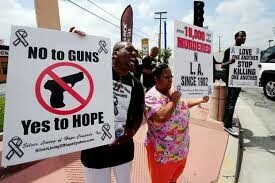 “Better Gun Control Would Reduce Gang-Related Violence.” Organized Crime. Ed. David Haugen, Susan Musser, and Michael Chaney. Farmington Hills, MI: Greenhaven Press, 2014. Opposing Viewpoints. Rpt. From “Who Arms America’s Gangs? : Responsible Gun Owners.” LiberalAmerica.org. 2013. Opposing Viewpoints in Context. Web. 29 Jan. 2015.